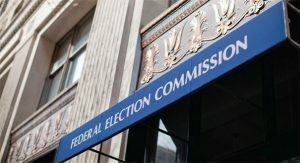 What is going on with Frank Howard's FEC report? The document below is an April 18 letter sent to Frank Howard’s congressional campaign by the Federal Election Commission. The letter states that Howard’s campaign “may have failed to file” his latest campaign finance report, as required, by law, by the FEC. We don’t know if this was a technical error on behalf of the FEC or an error from the Howard campaign. We’ll certainly keep you up-to-date.